[Hello God & Gabriel.] Hello Suzy, We would like to relay this message. At this moment in 3-D linear time, you are experiencing the ebb and flow of the 4th & 5th dimension as it shifts into its projected space of light and love. In this shift of tide, so to speak, there are many turbulent activities for you to experience. In their presentation, is your free will and your soul’s decision to see the turbulent experiences as fear, love or involvement. Seeing them as fear will increase your grounding into 3-D life. Seeing them in love will give you a detachment to imagine a more peaceful outcome. Being involved in the turbulent experiences will allow you to delineate your fear. This is done not on a conscious level but simply as another act in the ‘play’ of your life. Portions of your day & night dreams are spent in the higher realms and this is your true reality. You and all who are walking Earth now are ebbing and flowing into your new realities. In these momentous times have faith. No matter where your path lies, you are on the path to enlightenment! In the case of those termed cabal, unenlightened or asleep at the wheel, know they too play a vital role. Even Darth Vader can turn into a good chap! We don’t make light of dire situations. We just want to show you that all things are in perfect order in the universe. Your beautiful life isn’t a quirk. There are no mistakes made by God and Creator. 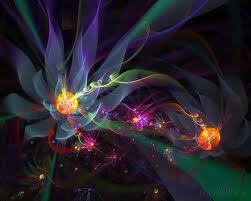 You, your family and friends aligned your lives like a fractal of heavenly perfection. Now in this moment of time is when you become aware of this. The option of how you do this is your gift to us! We love you infinitely and you can not disappoint us. In other words you have free will to create the life of your dreams. You get to decide if the dreams are good or bad. In the end you are simply living all experiences. Understand we don’t keep score. You are in the light of Our love and that will never change.